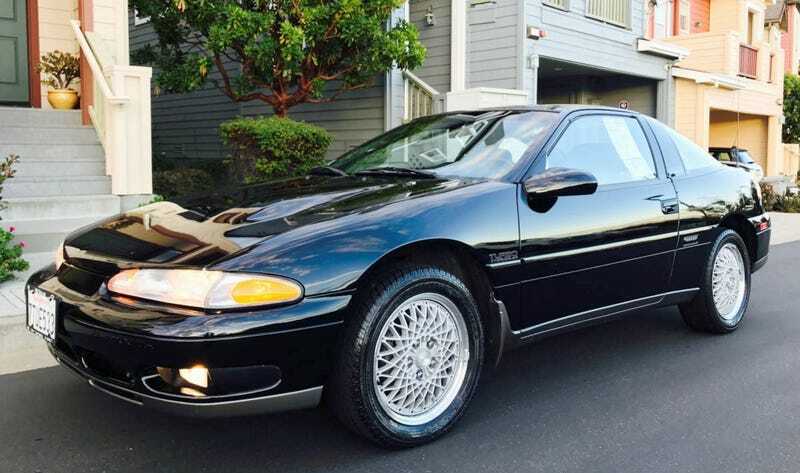 At $14,000, Could This 1992 Plymouth Laser RS Turbo Be The New Normal? Today’s Nice Price or Crack Pipe Laser was built in a place called Normal, Illinois. Since then it’s been seemingly well kept and appreciably under utilized. We’ll see if those factors play into making its price seem totally normal. Very nice, but too expensive. That seemed to be consensus around yesterday’s tidy 1977 BMW “535i.” Its builder should be lauded for the work done in the creation of that unicorn, while at $18,000, its asking was just asking to get shot down. In the end, it did fall in a 67-percent Crack Pipe loss, but hey, not for lack of trying. Here’s a question for you: what do you think is the most Japanese car ever to be built in the U.S.? I mean, imagine that Suzuki built the Cappuccino roadster here. Or Nissan the S-Cargo. I know, freaky, right? Most every U.S.-built Japanese car was chosen for local production due to its slam dunk applicability to the American market. If it didn’t have a upholder that could swallow a Big Gulp then it didn’t even make the playoffs. This 1992 Plymouth Laser RS Turbo was a member of a trio of cars built in Normal Illinois by a Diamond Star Motors, a partnership between Mitsubishi and Chrysler, and sold through each company’s individual brands. That resulted in the Mitsubishi Eclipse, Eagle Talon (best name evah! ), and the Plymouth Laser. To be honest with you, the Laser is probably the least memorable of the three cars. Maybe it’s the Plymouth name? For me that evokes images of puritanical pilgrims and of soft, kind of lackluster automobiles. Yeah, I know, shoulda, woulda, Cuda, but that’s kind of overwhelmed by visions of the Plymouth Breeze (Nytol on tires), or the Neon that they didn’t even bother to differentiate from the Dodge edition. The Laser was tainted by mere association. It may have been that general malaise that led to this Laser’s lack of use. That’s too bad for those who have come before us, but it’s just fine and dandy for anyone who wants to party like it’s 1992. This is the all-singing, all-dancing RS Turbo edition of the post-facelift first generation car. It should be noted that while both the Eagle Talon and Mitsu Eclipse got second generations, the Laser went dark after just the one. The clear titled car comes in black over grey mouse fur and looks to be in impeccable condition. There’s but 66K on the clock, and the car even comes with all the paperwork from when it was new, including the window sticker. Specs are impressive here. There’s a 195-horsepower DOHC 4G63T four under the power bulge equipped hood. That hot mill is mated to a five-speed stick and all the time AWD with a torque-sensing viscous center diff. The mileage may be low, but the years still take their toll and in the case of this Laser, that’s resulted in the need for a good bit of engine upkeep within the last 6K of life. A rebuilt head and ancillary parts are apparently documented in the maintenance records, as are new tires. Everything else seems to have held up its end of the bargain, including—somewhat sadly—the goofy mouse belts. Those are the bane of this pre-ubiquitous airbag era, and unfortunately there’s no easy solution to retrofitting the annoyances. That’s not the car’s fault however, and once in and all cinched up you probably wouldn’t even notice. What you will notice is that these are pretty small cars inside. Yeah, there a back seat but both head and leg room are wanting. For two, it’s much more accommodating. You now need to be accommodating and give us your opinion on this well rested and ready to rock Plymouth’s $14,000 asking price. According to the included Monroney sticker that’s just a little more than five grand shy of its original MSRP! Do you think this Laser could light up that kind of cash? Or, is this a car from Normal with an abnormal asking? Monterey, CA Craigslist, or go here if the ad disappears. H/T to onlytwowheelsev for the hookup! Could This Restored 1977 BMW “535i” Wrest $18,000 From Your Wallet?